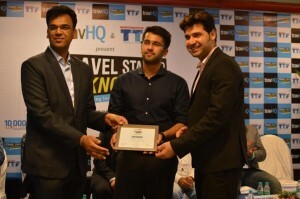 Travhq and TTForganized an event “Travel Startup Knockdown”. The event brought together experts from the industry and some really interesting travel startups from the region. After listening through all the pitches and filtering through the finer details, the judges picked Airlines Technology to be the winners of the event. Airlines Technology, a tech startup eyeing the global airline industry and holding huge growth potential, got the interest of judges. IATA introduced NDC to simplify how airline tickets are bought and to increase the value for airline equity investors. It can allow for a more transparent shopping experience where the customers will be able to customize their bookings quickly and airlines will be able to push suitable offers directly to the customer. Airlines Technology is focused on NDC implementation and aggregation. Amadeus has offered them the opportunity to be a part of Amadeus Next. On the occasion Mr. VarunBansal, Director, Airlines Technology said, “We are glad to be a winner of Startup Knockdown Kolkata.Partnership with Amadeus is a big opportunity for us. Now, we are ready to create better products. Amadeus must have seen potential business growth in future via Airlines Technology”.Varun and Paras from Airlines Technology collected the award from Shivam Shah, partner at Augment Ventures.